Antonio Stradivari Cremona, 1686 "Rosenheim"
Antonio Stradivari was 42 years old when in 1686 he made this magnificent violin, now known as the “Rosenheim”. It is a bold, masculine instrument made on the grand pattern. It has been said that had it not been for the ten year period when Stradivari made his “long pattern” violins, the “Rosenheim” model would have heralded the “Golden Period”. 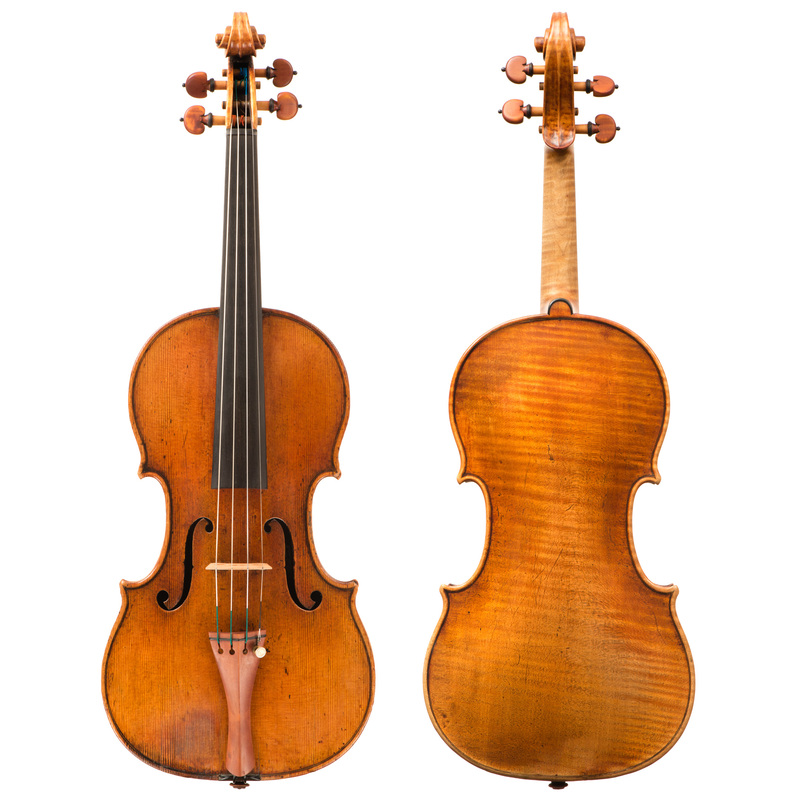 The history of this 1686 Stradivari can be traced back to the 19th century when it was purchased from the firm of William E. Hill and Sons by Mr. Willy Rosenheim. The violin is acknowledged by the Hills in their book published in 1902, Antonio Stradivari, His Life and Work (1644-1737) as one of the outstanding examples of the period. Mr. Rosenheim loaned this violin to the young Paul Kochanski (1887-1934) for the early part of his career. The great Guarneri del Gesu that is named after Kochanski was not purchased by him until the last ten years of his life. An article about the violinist in the December 1906 publication of THE STRAD describes the “Rosenheim” Stradivari as a “perfect specimen”. The violin came to the United States and passed through the hands of the Einstein family and surfaced again in the early 1960s when it was owned by a professional violinist in New York by the name of Bornstein. In 1967 it was sold by John & Arthur Beare in London to Miss Sylvia Cleaver. The “Rosenheim” has been owned and played continuously throughout the 20th century by some of the finest musicians. It is an outstanding concert instrument and remains to this day in remarkable condition.